How are you doing? No, I’m not looking for the stock answer of “Good” or “Fine.” How are you REALLY doing? When was the last time you thought about the REAL answer to this question. If it’s been a while since you’ve thought of yourself, it’s time to grab a pen and paper and reflect on your answers. We here at TruEnergy are huge proponents of self-care. All of our natural skin products are designed with your health and wellness in mind. We believe firmly that you have the power to make the life you desire–and your body has the power to heal. Unfortunately, research has shown as well that you also have the power to wilt–one petal at a time. Self-care is extremely important in society today. We can get so caught up in work, career, family, kids, hobbies, and obligations that we let our health and wellness slide. We stop exercising and put on a few pounds. We sleep less and go through our days in a partial-zombie state. We can’t remember the last book we read. Or the last time we had coffee with a friend. Tru Energy recognizes how self-care is important for skin care. Here are our tips for staying healthy. Eliminate stress. Stress releases cortisol, a hormone that causes an imbalance with other hormones in your body. This leads to acne breakouts, wrinkles, and dry, oily skin. Stay hydrated. If you don’t drink enough water, your skin becomes dry, tight, and flaky. Remember skin is an organ and is composed of cells, which are made up of water. Water reaches the skin last as the other organs’ functions get priority. This is one reason Tru Energy developed our natural skin products Protective Therapeutic Daytime Treatment and our Restorative Nourishing Overnight Treatment. Since we don’t drink enough water, we need to apply water (aka moisturizer) to our skin. This helps eliminate wrinkles as your skin absorbs the water and other moisturizer contents and plumps up. Get enough sleep. There is truth that lack of sleep causes bags around your eyes. If you don’t sleep enough, fluid pools below your lower eyelid and causes it to puff out. Sleep is the time your body regenerates. If you don’t give it time to do so, you’ll get dark circles under your eyes and the moisture levels drop in your skin, causing them to be drier and show deeper lines and wrinkles. Eat a healthy, balanced diet. Rashes and hives are both caused by dysbiosis, which is an imbalance of the good and bad bacteria in your stomach. Also, a diet too high in sugar causes peaks and valleys in your insulin level. This leads to inflammation, which is not good for your skin. Inflammation cause collagen and elastin to breakdown, which are the two proteins in your skin that gives it its elasticity, strength, and youth. Sugar is also the culprit behind sagging skin and has been shown to contribute to acne. Our advice: limit sugar as much as possible. Relax. Ever wonder why older people seem to have frown marks permanently etched on their faces? Certain facial expressions like frowning, pursing your lips, or furrowing your brows frequently, can lead to deeper lines over time. Exercise. Physical activity boosts blood circulation as your heart pumps harder and more body parts are moving. This helps your complexion as more blood flows to the skin. Exercise also flushes out more skin toxins and with that, cellulite. After exercise, make sure you use a daily facial cleanser such as our Gently Clarifying Facial Cleanser to rejuvenate an rehydrate the skin after sweating. Self-care doesn’t have to be a week-long vacation to Tahiti; it can be taking pleasures in the simple things in life. Watching the flames in your fireplace, taking a bath, cuddling up under your favorite blanket with a long-anticipated book, hugging your cat, going for a walk in the woods, enjoying coffee on your front porch, watching the sun rise, or making a list of all the blessings in your life will all wash away stress, release serotonin, and help you to slow your pace of life. You’re not invincible, and your days are numbered. Don’t let life pass you by and you realize when it’s too late all you’ve missed.Taking time for yourself will go a long way in your skin care routine. 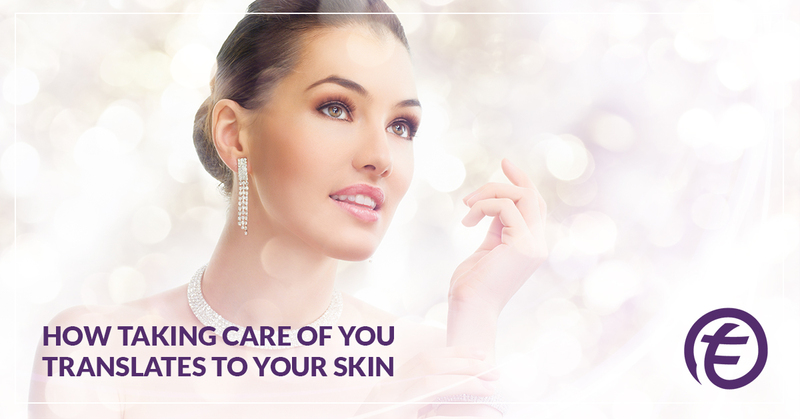 Your skin will look more alive, more radiant, and more healthy the better you care for yourself. Tru Energy believes your body knows best, especially when it comes to wellness. Self-care is one of the best things you can do for overall health and wellness. Your skin will thank you (and others will compliment you). Visit Tru Energy today for daily facial cleansers, anti-aging facial serums, and our facial toning device, the Sonic Energy-Optimizing Wand, today! ©2019 TruEnergy Skin Care - Do not copy. All rights reserved. All prices are in USD © 2018 Tru Energy All-Natural FaceLift System.